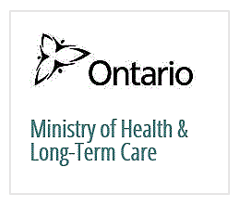 In December 2007, the Ministry of Health and Long- Term Care (MOHLTC) undertook a challenging and complex business and IT migration project involving the multi million dollar Ontario Health Insurance Plan (OHIP) Claims and Registration program. This involved migrating hundreds of staff who were involved in the major customer-facing and back-office programs and services to another Ontario provincial ministry. The project included all aspects of business process, policy and legislative considerations, resource management (human and financial) and highly sensitive information and information technology. In order to organize, manage and deliver a migration project of this magnitude, MOHLTC engaged Litcom. Litcom provided overall project management and worked collaboratively with the other project stakeholders and third parties. Litcom led the preparation of an integrated project plan and managed the project in conjunction with the receiving Ministry. Litcom effectively managed this complex province wide project and delivered to an agreed schedule. Litcom were a pleasure to have on the team and because of their excellent interpersonal skills they were able to engage impacted staff and deal successfully with all project challenges. They brought to the project the discipline, rigor, knowledge and attitude all which contributed to the creation of an environment that led to success. Ensuring that ministry and system strategic directions and expectations are fulfilled.